The Summer Cool Off Series continues! Today we are chatting with Skye McLain. She’s very transparent about her and her family’s journey to debt freedom not only in this episode but in writing about it on her blog as well. Fearless Money Sisterhood enrollment opening soon! Learn More Here. What was your takeaway from our chat with Skye? Please share below in the comments. [00:00:26.6] JH: Hey there, I am so happy to have you here with me today. It’s always such a treat and so rewarding to get the message from you telling me that you listened to whatever specific episode while you were cleaning the house, on your commute, on the treadmill, that just means so much to me. So thank you so much. I wanted to do a quick reminder that enrolment for the Fearless Money Sisterhood is opening soon. So if you want the power of community to help you not only gain the confidence you need to master your finances, get on the wait list. 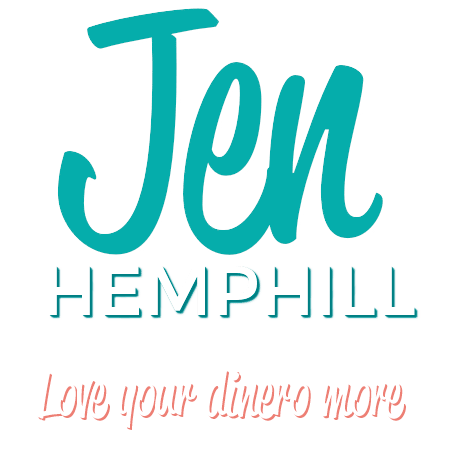 You can find this at Jenhemphill.com/fearless with the one to two minutes it takes to make sure if it’s a right fit for you and for you to put your information in, you will be also amongst the first to know, get early access to the community, free training and some special pricing. 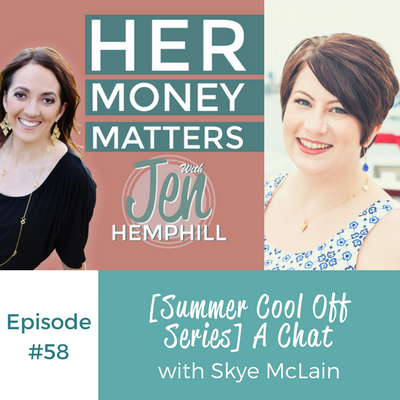 Now today, we are continuing with the summer cool off series and I have another guest who is blogging about her journey with debt. In today’s episode, you’re going to learn what the money management school of the Jett Family is and why it has been so crucial for her family. You’re going to learn why she’s not automating her debt payment so that is an interesting scoop in there. Then you’re also going to learn about one simple step that not many people do that she has taken to making managing money easier. So let me share with you a little bit about Skye McClain. Skye is your regular southern gal living in Texas with her husband Chris and son Jett. As a family, they are currently on their journey to become debt free and live healthier lives financially. Skye works with clients as a virtual assistant and also enjoys being outdoors and reading in her free time. So let’s go ahead and meet Skye. [00:02:32.5] JH: Welcome Skye, I’m really happy to have you on the show. [00:02:35.5] SM: Thank you Jen. I’m really excited to be here. [00:02:38.8] JH: Well I was introduced to you by Jen Hatzung and she was a guest previously on the show. So I am definitely excited to talk to you because I understand that you’re blogging about your journey with debt. [00:02:54.3] SM: That is correct. I have been sharing it, I was a little iffy about sharing it at first because finances are very personal and people feel like they really can’t talk about it but I wanted people to know that if I can do this, you definitely can because I loved debt. I was like, “Oh put it on a credit card, put it on a credit card. We’ll just finance it,” and so I want other people to see that it can be done and so I really wanted to share it and I already had a blogging platform so to speak. So I just thought that was the perfect place to do it. [00:03:32.1] JH: Perfect, so before we get into that, I really would love to know about how you grew up with money. [00:03:38.9] SM: I came from a family where — I have a really interesting money story and I was really thinking about this this morning because my mom’s side of the family was very flagrant with money. We actually, when my grandparents were older and we were facing the stage in their life where we’d have to put them in assisted living facilities and that sort of thing, we got all their finances together and we learned that my grandmother had over $100,000 in credit card debt that nobody knew about. My dad on the other hand, super great with money, he’s retired, he has all the money he will ever need because he worked really hard his whole life. He saved, he saved, he saved, and so I’m trying to change my path to go more of his direction now. So I really grew up with what we call “the money management school of the Jett Family”. Because that’s my mom’s maiden name and so I’m trying to steer myself away from that school of thought because it’s a really dangerous path. So that was a core memory for me to change my habits and change my spending and change my outlook on money overall. It’s growing up in that environment versus where I’d rather be. [00:05:27.5] JH: Right and that’s great that you are aware of that because that’s the first step forward, right? [00:05:34.3] JH: So tell me, if you can, so you were mentioning your dad has some great money skills, some great money habits and then your mom after she passed away and again my condolences, you found out of some debt that she had. Do you recall, did you have any money conversations or was she more private and didn’t really talk about money? [00:05:59.4] SM: She never really talked much about money and it never seemed to be an issue for her because my dad worked in the oil field so he made — well before he retired. He makes pretty good money and that allowed us to do a lot of things but in addition to that, it was this whole other secret part of my mom’s personality I guess that she just had a couple of credit cards that she would use and did not tell anybody about. So she was able to give my brother and I, you know, she helped us pay for school or they helped up pay for school and they helped us buy our first cars and that sort of thing, but she never talked about this little secret part of her life. So that was pretty interesting when that happened to know that she had all the money she had ever needed, why did she go this route? It was because how she grew up. It was with my grandmother who put it all on a credit card and didn’t talk to anybody about it. [00:07:03.7] JH: Right, right, and it’s always interesting those different cycles that unless we’re aware of it, we can repeat it which is what you have become. You’ve become aware of it so you don’t repeat it. [00:07:13.8] JH: And how about your dad. You talked about your dad and his great money habits, tell us growing up, what did you observed and what maybe he had some money conversation with you or money conversations teaching you some things, can you tell us about that? [00:07:31.7] SM: My dad always had cash and so I should have learned earlier on that cash was a good thing. We never really had a money conversation until I kind of grew up and went out on my own and then we would talk more about, especially after my mom passed away, how he manages his money. Because that’s when I started getting concerned about it and I was like, “Well how did you do what you’ve done?” He just always made sure that he had cash. If he wanted to buy something, he’d pay for it with cash. He has credit cards for business and stuff but he does not use those, and then we talked about some of his investments that he’s made and when my mom passed away and we had to do all the horrible paperwork like when you change beneficiaries and all that mess. He showed me, “Here’s where my money is invested. Here is how this is going to work,” and so I got to see firsthand what his actual contributions were versus how he had it missed and how amazing lead had grown over the 30 years or so. So it was like a “I’d better get it together now and fix this or I can’t depend on my dad’s money to take care of me when I retire. He’s going to spend it all,” which I am excited for him, I’m thankful for it. But it came to the point where it was like we can’t depend on my parents or Chris’s parents or anybody else to provide for us and so it was like a “we have to grow up now” moment and be adults. [00:09:29.1] JH: So that started your journey of getting out of debt. So tell us because I love to know more because when I’ve had guest on the show that have shared inspiring stories and just stories of getting out of debt in six months or 10 months or just really, really gung ho stories of just getting out of debt fast and I’ve also did an episode on a little bit of my story of how long it took us to share with everybody to not get all disgruntled if you’re not out of debt yet. If maybe it’s taking you more than 10 months, more than the two years, more of the five years. You’re going to get there and it’s a matter of just not comparing yourself. Those stories are out there for inspiration but just really keeping at it and doing what you got to do and just keep pressing forward. So I’d really love to hear, so you had this aha moment, this “let’s get this done” moment, “let’s get to it” moment. So tell us what has transpired since then, what have you been doing and all that good stuff. [00:10:41.6] SM: Okay, so my mom passed away five years ago and at the time, my husband was an intern at a church making very little money. I was making very little money, so for several years, we had to claw our way through and we made some dumb decisions. We bought a house when we really couldn’t afford it and we bought new cars when we really couldn’t afford it. So there were several years there where we could have made better decisions and probably been out of debt faster but when we just recently moved to Spring, my husband got a new job and when he got that new job, he got a substantial raise and so we finally figured, we sat down and we looked at our checking account after the first month of living here and it was like, “Holy cow, we can,” — we don’t have a house payment, we don’t own a house. We’re renters, we have one vehicle that’s paid off, now we have a pretty big shovel, we can start digging our way out of this and so we sat down, we just made a general budget and decided, “Okay, we’re going to do it.” And then I started listening to the Dave Ramsey podcast and as I tell everybody, I drink the Dave Ramsey Kool-Aid and I’ve known about him for years but we were never in a financial position where we even had snowball of money at the end of the month to put. So that was what got me inspired first and then we just kept at it and it’s not been a 100% easy all the time and of course you start working on this and you get right with your money and all these emergencies pop up, which aren’t really emergencies. But you just have to remember that every month is different, every family is different. We’ve been able to cut our lifestyles way back because we have this toddler who, he eats three meals a day at school so we have to only prepare one meal a day at home for us really and you have to remember that every family is different. You said you can’t compare yourself or your story to somebody else’s and I cannot agree with you more because our finances are totally different from everybody else’s and it’s not just about the money, you have to make the behavior change. You have to be onboard and if you don’t do that first, if that’s not where all of this comes from then you’re almost setting yourself up to fail because you’re just going back to the same behaviors. So we had to — my husband’s always have to keep me in check because my money, I get paid all through PayPal and through direct checking account transfers and so he never even sees it and he’ll text me and he’ll say, “Did you spend any money from your PayPal account this week?” And I will say, “Yeah.” So I have to start up on it or some of that I’d say, “No, I have done good this week.” because it’s like an addiction. I feel like I have to spend it if I have it. So I’ve had to make a big behavior change there, but that is how we got inspired to get started and we’ve stayed with it for a few months so far and because we have seen such a dramatic change in our lives overall, in our behaviors in our marriage, it’s just everything has gotten so much better, so that kind of keeps us going. [00:14:49.9] JH: That’s awesome, that’s good to hear. So this plan that you said that you sat down and that you realized it was going to take — it was 24 payments away. This started just in the past few months, that I understand? [00:15:28.4] JH: Oh that’s great. You “sequestered him”, I love that. So tell me, in this past few months of this journey because you have the 24 payments or less than 24 payments now, what have been maybe some challenges? You mentioned you knew you had to change your behavior, but as you mentioned it’s not always easy. So let’s talk about some challenges and then let’s talk about some successes that you have had. [00:15:55.4] SM: Okay, so one of the big challenges probably is the “saying no” thing. In previous years, I have travelled a lot for work and it’s always fun travel, it’s not always business travel and so I have to say “no” to travelling for at least this whole year and so I’m having to miss out on a lot of things that I usually do for work that are fun and kind of sit from the bleachers and catch it from the sidelines and so that’s been really hard for me because I work from home. I’m at home by myself all the time and I like to get out and be with people and it’s not just travelling. Like I can’t go meet people for coffee and do that sort of thing. So that has been a big challenge for me. For our family, I would say our biggest challenge has been to stop — we weren’t really saving money to begin with but we had to stop thinking about saving money because it’s part of the Dave Ramsey plan, you don’t do your retirement, you don’t put any money in savings, you put it all towards your debt until you get out of debt. But the success that comes out from that is that we have been able to put a lot of money towards our debt and get it out. At the last count, we’ve paid off almost $7,000 worth of debt in just three months. So that’s been life changing for me to see the amount of — I can’t think of the word I’m looking for. I’m going to say influence, the amount of influence we can make with our money when we’re super intentional about it and make the right decisions with it. So that’s one of the biggest successes, and then I’ve also had a mental change and a heart change because I used to be very jealous and very envious of people who had lots of money or portrayed that they have lots of money and now that I’ve gone through this and we’ve been through Financial Peace University and we have sat with people who “have a lot of money” and they are crying because they can’t buy groceries but they drive $60,000 vehicles and live in a half a million dollar home. So I have learned and the biggest lesson so far for me has been that I can’t be envious of these people because they don’t really have it. They don’t have the money, they just look like they do but they can’t pay their light bill at the end of the month and so that was a huge eye opening change for me to have because I no longer want what those people have. I want the opposite. [00:18:40.6] JH: Oh absolutely and it’s never about how much money you have but exactly what are you doing with it? And you can make all these money and yes, at some point depending on where you’re at with your finances and where you want to be, there’s sometimes you can only limit so much or cut out so much of spending and sometimes you do have to earn more. But even I have found time and time again, I’ve worked with clients who make what’s considered “good money”, there’s still — it’s just a matter of being clear what’s going on with our money, what’s going in, what’s coming out and all that good stuff. So I’m glad that you came to that realization for sure and so I appreciate you sharing that with us and I know you guys are going to continue to do great with it because it sounds like you have it under control and do you automate these payments for your debt? [00:19:40.8] SM: We talked about that and we decided not to and the reason is, it would make my life a whole lot easier if everything automatically came out of our checking account, but there is something visceral for me to get the money in and then sit down and actually to sit out and pay out the bills because it’s a monthly or a bi-monthly reminder of “our money is going here and it could be doing so much better going here”. And so I need to see it go out to the “bad places”, so to speak, so that it makes me remember, “Hey, we’re doing this to get out of this so I don’t have to make this payment anymore,” and it can automatically go to our retirement or our savings or whatever it is. So we don’t automate any of our payments for that reason. [00:20:26.7] JH: And I love that you bring that up and say that because one thing, a tip that I always give, is automate, automate, automate all the time because it just makes life easier but you definitely bring up a good point and it all just depends on the individual but for you, the process of manually doing that does something for you mentally and it motivates you. So this is one of the reasons why I love doing these interviews because everybody does it a little bit differently, and that’s completely okay because we’re going towards the same destination and I love that you shared that with us. So what do you say you do well with money? I know you feared what your grandmother did and what your mother did and you didn’t want to go into that cycle but I know you do some things well with money. So tell me a little bit more about that. [00:21:28.8] SM: I’ve learned in this process, I’m like the bill payer, I’m the nerd in our house. So I love to organize the money and so I love to do the budget and I am a pen and paper person. I have a spreadsheet to see. I have a spreadsheet set up with all of our debt payments on it, one without our debt, one on what it’s going to look like when we’re saving for a down payment. So I use those as goal markers more than monthly budget but I use a pen and paper and I sit down every month and I write out the whole budget. So I am really good at organizing the money. The sticking to it part is where I need a little bit of help with and that’s when my husband comes in and he pokes me every once in a while. He says, “Hey don’t spend any money.” But I am really good at organizing it and planning the month out according to the money and making sure that that happens. [00:22:23.4] JH: Perfect, I like that and then what’s your preferred method? Do you use a cash envelop system? Well you follow Dave Ramsey and so you maybe don’t do the credit card, the debit card probably or do you use check? Tell us a little bit about how you pay. [00:22:42.8] SM: We use cash for most things. All of our monthly payments are online, I do all of that online but we use cash for groceries and gas and we each get a little bit of money every month. We call it our “entertainment fund” that if we wanted to go get coffee or have lunch or whatever, we would use it for that. We still do use the debit card, we leave a little bit of a pad. We don’t pay it down to zero every month so in case like this month, we had to buy a lawn mower. We used the debit card for that. For unexpected expenses that we have to work into our budget, we usually use the debit card. We cut up all of our nine credit cards when we started Financial Peace University. [00:23:32.9] JH: Awesome, that’s wonderful. So tell us a little bit, so you’re the bill payer and your husband is the accountability partner, if you will. So bring us, during a month, tell us a little bit, do you sit down once a month to plan the budget out for the month, do you all meet during certain times? Tell us a little bit about how that process goes throughout the month? [00:24:02.1] SM: I call and I had all our bills set up to be done either on the first or the 15th or just as close to that as I could, which I think a lot of people don’t realize that you can do that and I’ve had a lot of people asked me and I’m just like, “Just call, I mean the worst they can do is tell you no.” So we changed all of that so that I set up on the first and the 15th and I pay all the bills and today or tomorrow, there’s 31 days in March, today we will sit down and have our budget meeting for April. So I have already written down the budget for April and we’ll have a list of things I think we need to put in the budget. So we add money to like car repair envelope and that kind of thing because we’re going to get tires and it’s really made us both be more intentional about looking at the month as a whole. So like in March for the March budget, I was like, “Okay we have Easter parties this month at school, they’re doing school pictures,” and we had to put all of that in the budget. So we had to be better planners overall. But I just do the bills on the first and the 15th that when I pay the bills is when we do our budget meetings and Chris and I sit down together and I plan the budget and then I hand it to him and he has to change something or approve it or whatever as our free spirit in the family, so that he feels like he’s involved. We do that because that’s what Dave Ramsey says to do and Chris doesn’t like to feel all controlled and whatnot. He doesn’t need to do that personally but I make him do it anyways and it keeps me in check too so that in case I’ve miss something or that sort of thing. [00:25:46.4] JH: Right, perfect I love that and is Dave Ramsey your favorite money guru celebrity or someone else? [00:25:54.6] SM: Yes, he is I love Dave Ramsey. [00:25:57.4] JH: Well, Dave Ramsey, he’s the type of guy and of course, there’s the haters and people that adore him. But whatever the case, no matter which side of the house that you sit on, time and time again just speaking on these interviews, the clients that I coach or people that I just talk to randomly, those that follow the program that he does, they get results and of course, I’ve talked to people that have maybe the book, but haven’t even picked it up and of course they don’t get the results. [00:27:01.1] SM: My money matters because I am claiming it now and taking it very seriously now so that later on, we don’t have to be as serious about it and I want to make sure that Jett has a positive role model with money and he understands the power and the influence money has in your life and does healthy things with it. So that is the most important thing is for me to leave a legacy with him so that he does the same things that we are doing now and doesn’t make the same mistakes. [00:27:30.6] JH: Love it. Well I appreciate that. I appreciate all the insights that you’ve shared. I definitely had some key take aways here from our time together and I will be sure to share because I want the listeners here to read your blog. So I will be sure to share that in a little bit. So thank you so much Skye again and I look forward to connecting again with you soon. [00:27:55.5] SM: Thank you Jen. [00:28:00.2] JH: So what did you think about Skye? She was wonderful, right? I hoped that you enjoyed it as much as I enjoyed chatting with her. Now I have a couple of take aways that I want to share with you from my talk with Skye but first, I want to give a quick shout out to Catherine. She’s a member of our free Her Money Matters community and also a member of our Fearless Money Sisterhood. Now Catherine is quiet but she is definitely hard at work behind the scenes and I want to celebrate her as she has implemented the virtual money method that is allowing her to manage her money so much more simply. So I am excited for you Catherine and for all the hard work you are putting in and the patience that you are having to see your hard work flourish. So let’s move on to the two take aways that I had with the conversation with Skye. One, is that she doesn’t automate her debt payments. If you’ve been listening to me, you will notice that I literally talk about automating, automating. I literally run it to the ground but she did make a good point on why she doesn’t automate. She noticed that it was very deliberate and a part of that master plan is it reminds her of the debt that she doesn’t want to keep. So I really want to emphasize that because it goes to my point that I’ve talked about in various episodes where you’ve got to listen to your intuition and do what’s right for you. It doesn’t matter if the experts say you have to save. It doesn’t matter what the experts say, it’s good guidance, but also follow your intuition. Because notice that I always say I’m big on automating but she doesn’t automate but there is a specific reason and it’s very deliberate and it works for her and that’s completely okay. So personal finance is personal so that was awesome that she mentioned that. The second point, or my second take away is that she was setting her bills due when she sits down and she pays her bills according to that pay cycle, her pay cycle, right? I know I probably haven’t talked about this enough and this is how it can help. If you set up your bills due on the first or the second of the month and then let’s say on the 16th then you know that one, it’s taken care off. Two, you know what money is left until the next pay cycle and three, you’re not waiting for the payments to go through. So all your essential expense or all your bills that needed to be taken care of are paid and you know what you have left to work with. So that is very, very important to really shift, you can always make those phone calls and ask the companies, “Can you change my bill payment to be due on this month?” They’re more than willing to work with you. So just call and ask. The worst that they can say is “no”, but at least you’ve tried and that can help your money management to make your life a whole easier. So that is it. I appreciate you being here. Next week on the podcast, I share with you my hot picks for the summer for you to listen to and yes, that pun was very much intended. 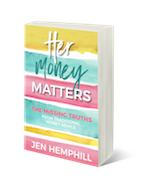 So be sure to check out next week’s episode on what podcasts or money podcast that I recommend and don’t forget to check out the Fearless Money Sisterhood at Jenhemphill.com/fearless. So I want to thank Skye for joining us, for just being so transparent and sharing such good nuggets today. So be sure to check out the show notes on where to find Skye at Jenhemphill.com/58. So thanks again and I will talk to you next Thursday.